The Grand Rapids Danger Basketball Club is a proud organization that prides itself on integrity, character, and professionalism. With dedication, hard work, and the power of unity we believe the Grand Rapids Danger can inspire positive change and make a difference in our community. The Danger was founded in July of 2015, and in that inaugural season(2015-2016) the team finished 13-9, which qualified them for their FIRST playoff appearance in team history. Recently the team completed its 2nd season. The Danger finished with a 12-5 record, which qualified them for their second consecutive playoff appearance and a #12 ranking in the nation. The team would close the 2016-17 campaign as North Central Division Champions. 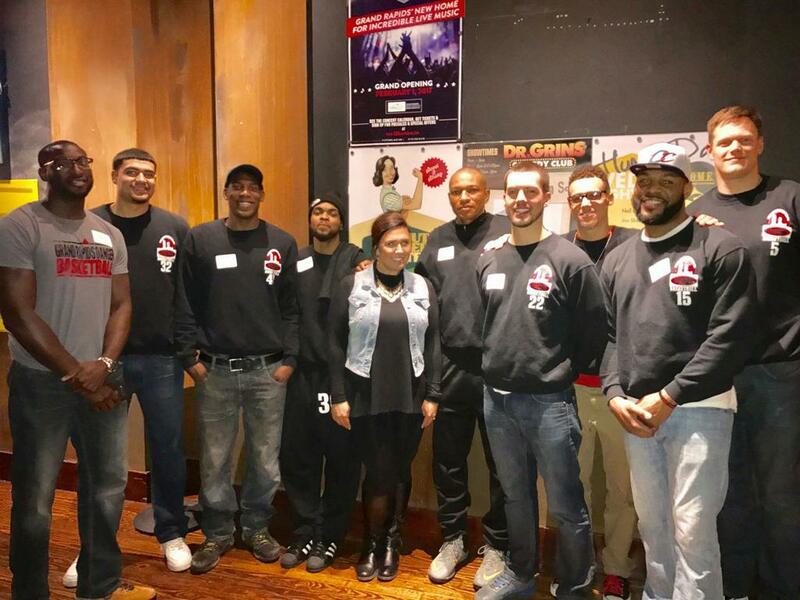 The Grand Rapids Danger prides itself on not only securing the best talent but also finding good people who are willing to serve their community. The team has spent time in the public schools speaking and reading to the youth. The team has also attended and served at special community events such as the Grand Rapids Legacy Ball, and the Soups For All event. Interested in becoming a sponsor of Grand Rapids Danger? Want to participate in your local community? Become a sponsor for Grand Rapids Danger and support youth in your area.